Our mission at Edge is to educate our youth. By offering student “banking days” students have an opportunity to participate in a savings program in which they will see their money grow and have fun doing so! Our Cub Saver Program is experience based and is aimed at familiarizing each student with banking; allowing them to understand how money works. We hope to produce responsible banking citizens. Members up to 12 years with a Cub Saver Account will receive additional benefits such as our monthly Cub Times Newsletter, participation in special youth programs and participation in school based savings contests! *Minimum deposit of $5.00. To become a member or learn more about the program, applications are available at our main branch or at any of our participating schools! All student members who participate receive our monthly cub newsletters and can participate in all of our special youth programs and contests! In Elementary School: Promoting early savings habits by starting at a young age! Students are able to make deposits on their designated banking day right at school! 4th & 8th Grade Scholarships! A unique scholarship of $100.00 is awarded to two (2) 4th grade & (2) 8th Grade Cubs from each district! The scholarship money is held in the student's savings account and released upon graduation. We start accepting applications for these scholarships in February! Our e2 Accounts offer great opportunities for students. From ages 13-23, an e2 Account allows students to easily access their money from anywhere! In High School: Our student branch program is a great opportunity for students to gain job experience and learn about financial literacy. Students practice their interview skills, cash handling, and member interaction each week at our student-run branches.. In Middle School: This in school savings program allows middle school students to continue saving their money by making deposits at school on their designated banking day! This scholarship is open to all student members who are seniors in high school and attending college the following Fall semester. * Structure may change per the Scholarship Committees decision. A unique scholarship of $100.00 is awarded to two (2) 4th grade Cub Savers, from each of our participating school districts (Liverpool, Baldwinsville, and Phoenix). The cub member must be currently attending school at one of our participating elementary schools. The scholarship money is held in the student’s savings account and released upon graduation. A scholarship of $100.00 is awarded to two (2) 8th grade Savers. Winners of the 4th grade scholarship can be awarded this scholarship as well to add to the previously awarded scholarship. The scholarship money is held in the student’s savings account and released upon graduation. Three (3) $500.00 scholarships are awarded. This scholarship is available to those students who volunteer at our Student Branches! *Must attend an e2 Workshop, schedule one today! Transitioning to becoming a financially independent adult can be confusing, stressful and downright frustrating. You’re in luck. We are here to help and offer you opportunities to make this transitional time a little easier and more understandable. Savings & Draft Checking - Compare our accounts to other financial institutions and be pleasantly surprised how much of your money you get to keep when you bank with Edge FCU. Car Loans - Whether you have a current loan or need a new one, we can get you on the road without money flying out the window. Check out our rates and refinance or apply for a new loan so you can have the car of your dreams! VISA Credit Card - At Edge FCU we offer great opportunities with our VISA Credit Card. We offer rewards points programs, have great rates, and great balance transfer opportunities! Home Options - Buying a home, especially for the first time, can seem overwhelming. Edge FCU has partnered with HomeOwners Advantage to give our members the financial edge they need to make it through the process as easily as possible. Contact us today to find out more and get your questions answered or attend one of our homeowner seminars throughout the year! Ask about our recent Grad Program! Contact us. At Edge, we have a financial counselor right on staff just for you. It can be extremely beneficial as you begin your life as an independent adult to understand where you are starting and what you can do to keep your credit in good standing and be financially sound. Make an appointment today. Car Loans - Whether you have a current car loan or need a new one, we can get you on the road without money flying out the window. Check out our rates and refinance or apply for a new loan so you can have the car of your dreams! Home Options - Buying a home or fixing the one you have now can seem overwhelming. Edge FCU has partnered with HomeOwners Advantage to give our members the financial edge they need to make it through the process as easily as possible. Contact us today to find out more and get your questions answered or attend one of our homeowners seminars throughout the year! Paying for a college education is quickly becoming one of the largest investments you will make for you or for your family. So we have come to offer you some options and opportunities to help you afford a degree. 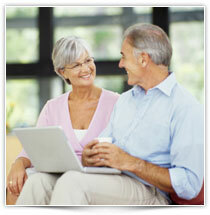 Educational IRAs - Educational IRAs are available. You only need a $1.00 beginning deposit; contributions are flexible, can be accomplished through direct deposit and may be tax deductible. CUScholar - We offer a great opportunity to help you not only afford your college education, but do so in a way that looks at all your accomplishments rather than just the hard numbers. If you have any questions please don’t hesitate to Contact us. As you grow, you gain value, whether it is the materials you have come to own or the family you have come to care for. Affordable and trustworthy insurance products become an important aspect of your life as you continue to grow. At Edge FCU we offer a suite of insurance products that are not only here to help you protect yourself and your family, but also offer great rates and opportunities solely because you’re a credit union member. Check out all of our products and see how much you could be saving. DJ Puff Advisors Group, Inc. There is no better time to start saving money for your children than now! With our cub and custodial accounts you can start saving money with your children and teach them to be responsible money managers. We have a financial counselor on staff right at our main branch for your convenience. Make an appointment today. You have access to certified financial planners right at your fingertips. Get expert advice to help you plan your future. Make an appointment today! About to retire or retired already? We go where you go. Whether you vacation every winter, travel the world year round or just like to visit new places now and then, you’ll always have a home at Edge FCU. We have thousands of ATMs around the country that are free to use to access your cash. Our online HomeBanking allows you to track your finances wherever you have access to the internet. Most of all, we are always a phone call away. Whether you just need to speak to our automated teller to find balances or you call us right here at the main branch to ask questions or seek help, your money is wherever you go! Check out all of our e-Services. We, at Edge, are proud to say that we have made it a tradition for our members to use our services. We have many families who have been members for generations, and sometimes that starts right now with you. There are several ways to pass on the tradition including opening CDs, Cub Accounts, Custodial Accounts and IRAs just to name a few. Check out our products and services to explore more! We understand that insurance can be one of the most important things you will have to be responsible for. Protecting you and your family is a priority and we make it our priority here at Edge FCU. Check out all of our insurance products and discover the advantages you receive just for being a member at the credit union. Save on prescriptions by printing your Edge FCU CVS Caremark Card and presenting it at participating pharmacies. The card has no effect on your insurance and you can use it over and over again to save money each time you fill your prescriptions.